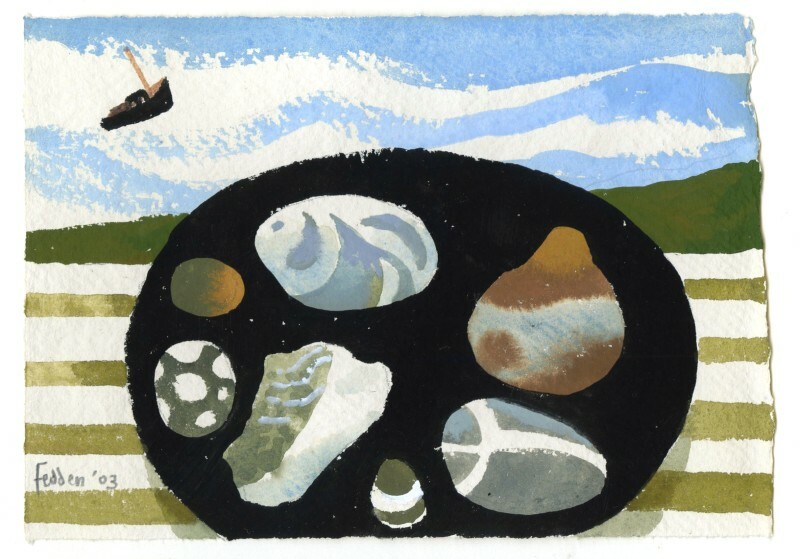 Mary Fedden was born in Bristol in 1915, educated at Badminton School, then moved to London to attend Slade School of Fine Arts from 1932-36. 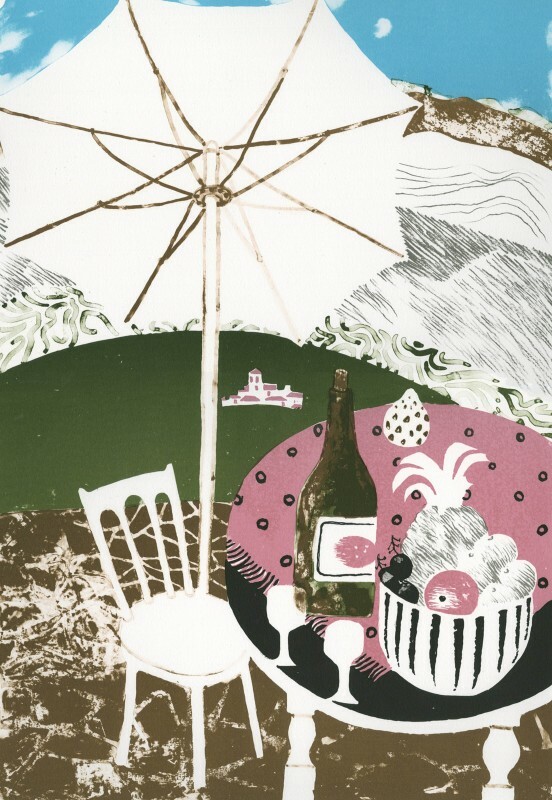 Whilst studying at the Slade, she met fellow artist Julian Trevelyan, whom she married in 1951. Upon graduating, she worked as a portrait painter, teacher, and stage designer for Sadlers Wells and the Arts Theatre. Her work at Sadlers Wells was as a result of a close relationship with the legendary theatre designer, Vladimir Polunin, who had worked with the Ballets Russes. It was also through Polunin that Fedden met the already married Trevelyan. With the outbreak of war, Fedden joined the Land Army and the Woman's Voluntary Service and proceeded to work for the war effort until peacetime, when she returned to London. Part of her work in the war consisted of painting murals for propaganda exhibitions. At night, she painted sets for the Arts Theatre in Great Newport Street, until she was called up, in 1944, to become a driver for the NAAFI. She had her first solo show in 1947, at the Mansard Gallery in Heal's Department Store. From this exhibition, Fedden was comissioned to paint covers for 'Woman' magazine. 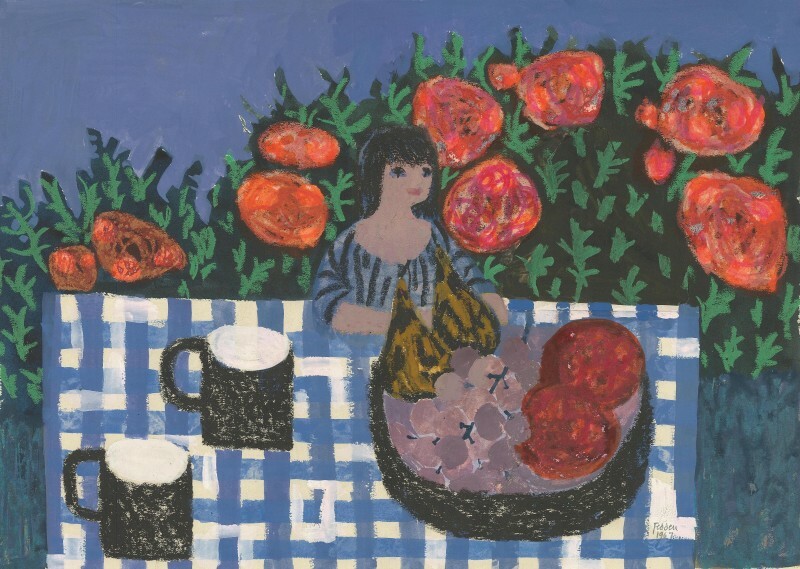 In 1949, Fedden travelled with Trevelyan to Sicily, and it was here that both their relationship and her practice flourished. Her small paintings of a rare snowfall in Sicily were sold in a local shop, and enabled them to live there for two months. Upon their return, Fedden moved to London with him. Trevelyan encouraged her practice, although she was not to achieve true fame and a mature style until much later. For the Festival of Britain, in 1951, Fedden was commissioned to create a mural, work that she reprised for schools, hospitals, and a P&O liner. One of these, for Charing Cross Hospital, she created with Trevelyan. He had a great influence on her work, and one can see how each encouraged, and, in some ways, emulated the style of the other. Trevelyan’s most significant impact on Fedden can be seen in the way that she begun to draw with a thoughtful line in a more stylised manner. 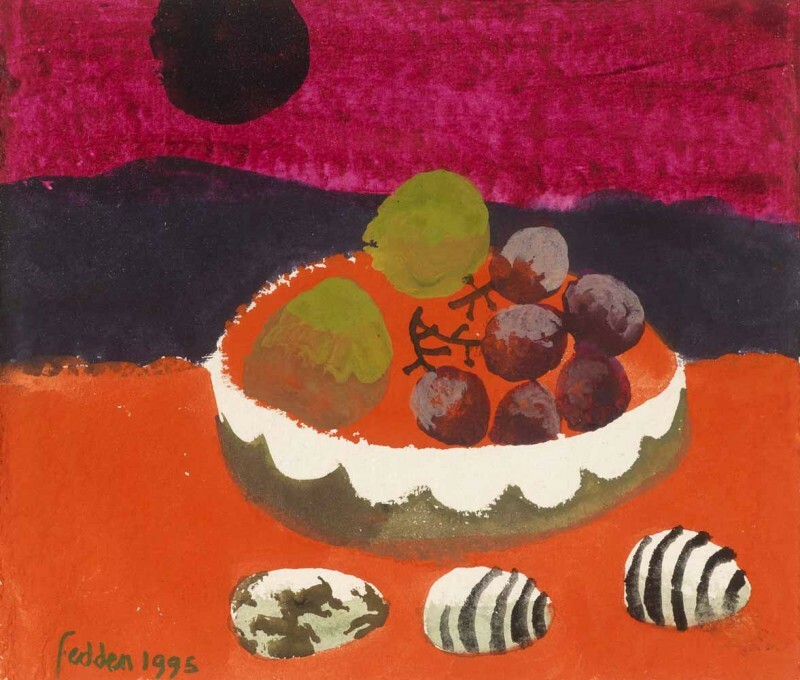 Fedden had her first London exhibition in 1953, at the Redfern Gallery, where she exhibited steadily throughout her life, as well as at the New Grafton Gallery, Hamet Gallery, Bohun Gallery, and the Arnolfini Gallery, amongst others. In 1956, Fedden became the first woman to teach in the Paintings School at the Royal College of Art, a post that she held for eight years, teaching young artists such as Allen Jones, Norman Ackroyd, and David Hockney. From there she moved to the Yehudi Menuhin School, in Surrey (1965-70). Fedden also enjoyed a working relationship with Glyndebourne Opera House, for whom she designed a cover for their programme, in 1999. In the later years of Trevelyan’s life, Fedden took over his care (following a vicious bout of meningitis in 1963) and the encouragement of Trevelyan’s work, which sometimes meant that her own was neglected. 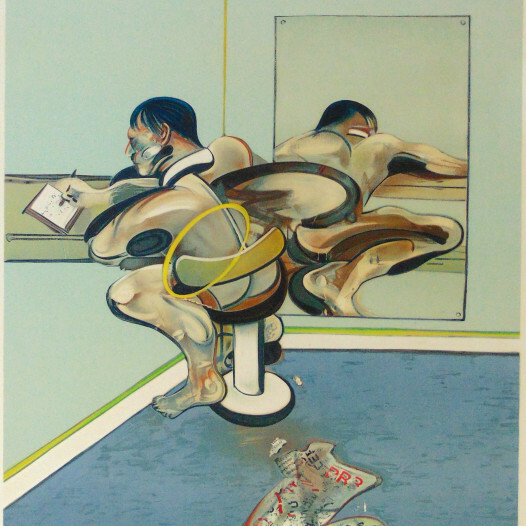 He died in 1988, and, despite the immense tragedy of her loss, Fedden came to greater recognition and far greater popularity, somewhat side-lining the similar work of her husband. She was elected a Royal Academician in 1992, and, in 1997, made an OBE. She also maintained strong links to the Royal West of England Academy, where she was President from 1984-88 and had a retrospective exhibition in 1988. She died in 2012, with works held in collections across the UK, and with a strong following. Her still lifes are perhaps the best representatives of her work as a whole, with simple, emblematic objects standing in front of empty landscapes—a human presence suggested, but not shown.